On the way home from Englewood beach, my parents and I stopped by the Ellenton Premium Outlets. We really were not interested in eating at the outlet food court. I did a little mobile digging and uncovered a mom and pop, less than a mile away from the outlets, and on the Manatee River- Woody's River Roo. We were able to find a table on the patio with a great view of the river. Even though it was hot, they had misting fans blowing. It was perfect! 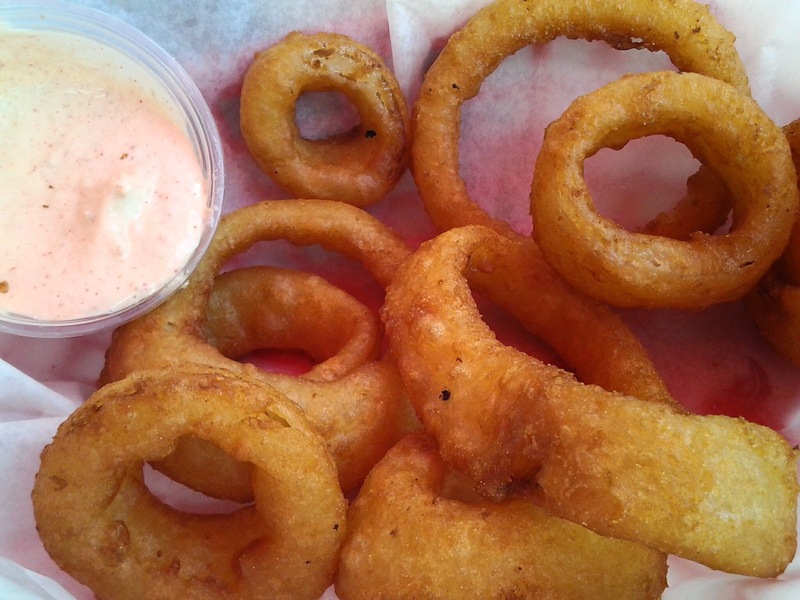 We decided to start with an order of onion rings. They were made fresh and to order. Plus, the horseradish dipping sauce was amazing! It was packed but there was plenty of seating! I ordered the fresh gulf shrimp basket. 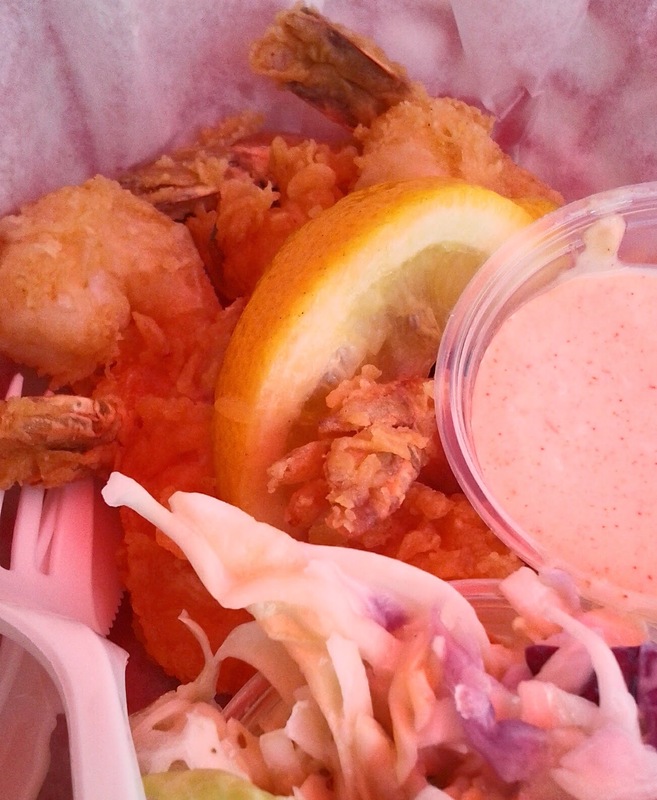 It was nice to actually eat fresh shrimp from Florida and not Indonesia. However, next time I would order the shrimp dinner instead of the basket because the basket was a tease! They were so delicious! 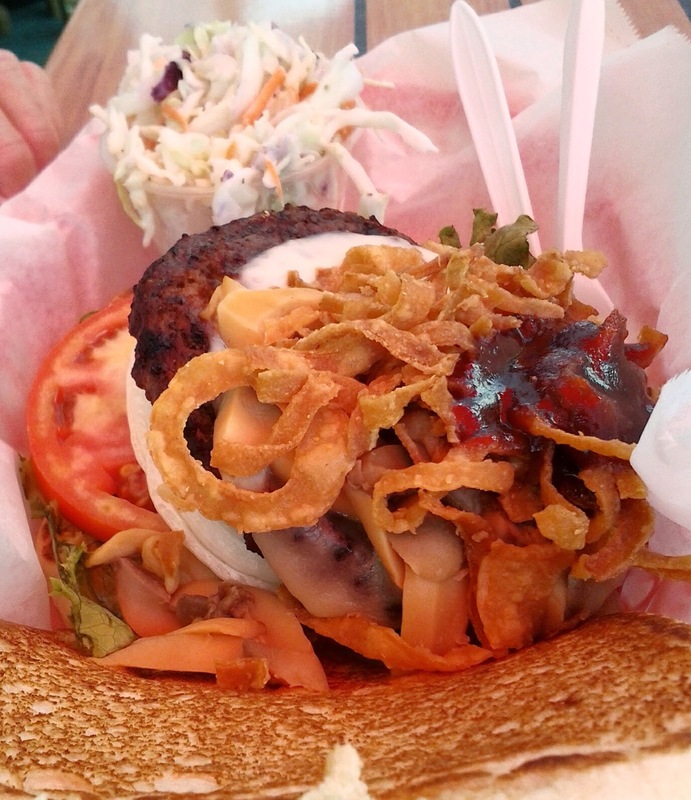 My father went with the Woody Burger- topped with American cheese, fried onions and sliced mushrooms, finished with homemade BBQ sauce. 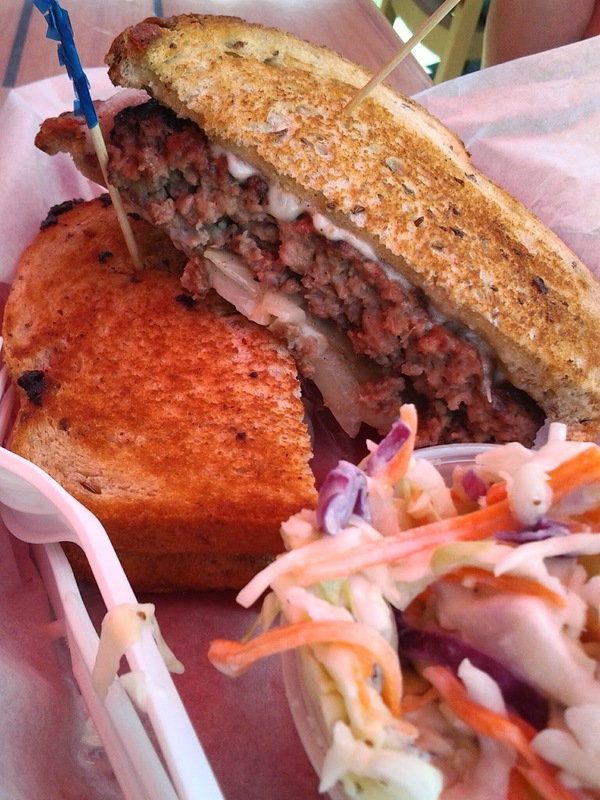 My mother went with the Patty Melt- certified black angus patty on grilled rye bread with swiss cheese and grilled onions. It was juicy and full of flavor. 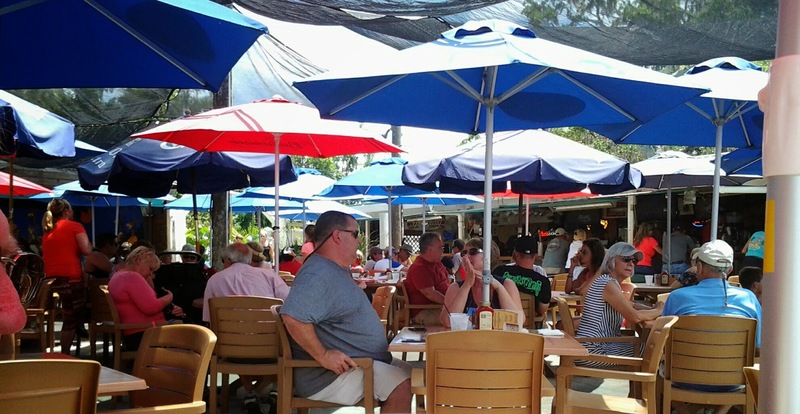 Overall, Woody's is a Florida mom and pop you must stop by and visit! 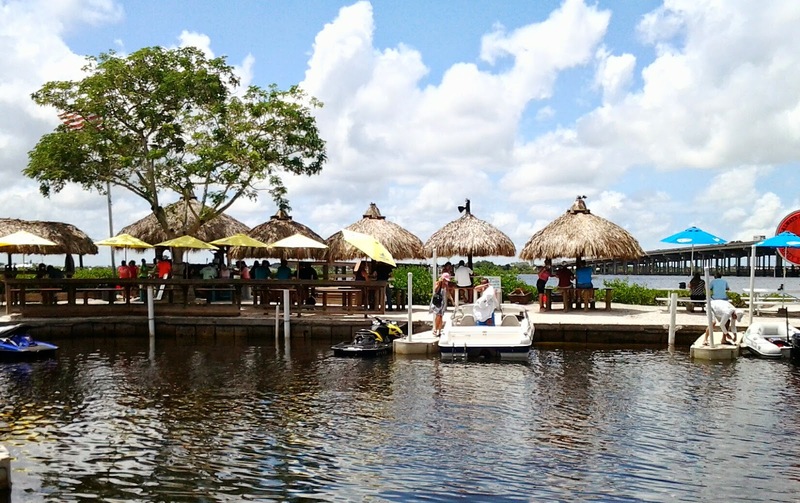 They have a great tiki bar area if you just want to stop by for a relaxing drink. 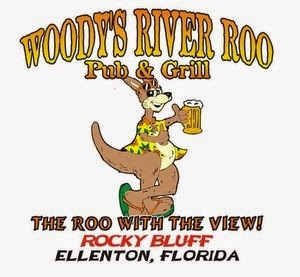 I definitely recommend visiting Woody's the next time you are in Ellenton.